Hey how's it going guys? Hope your week is going well. Today I want to talk to you guys about "Pop Pieces"
What is a Pop Piece? I define it as a piece you combine with simple garments to add the cherry on top. It's something that grabs the viewers attention " Wow that jacket is great! " Keeping them wondering all day where you got it from. Pop Pieces do not have to be expensive by any means. 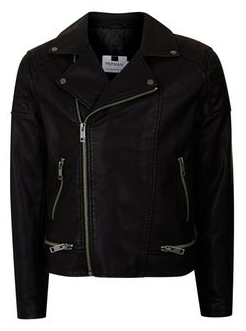 Example this leather jacket by FMC I picked up is now on sale for $59.99 USD ,it retails for around $150 USD. Which is a great steal for a quality jacket. For those in need of that key outfit changer, here's some great affordable upper alternative "Pop Pieces" you can add too your wardrobe to keep those on the outside wowed and eyes glued! Let me know what "Pop Pieces" you guys decide to pick up!